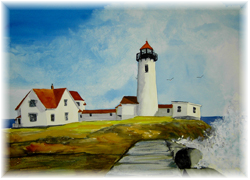 A native and long time artist of Cape Ann, Kate is familiar with the scenic beauty of both the east and west coasts. You'll find paintings from southern California as well as many New England landscapes and shore-lines. She's had the opportunity to paint with and learn from numerous talented and well known local artists as well as time well spent at Monserrat College of Art. 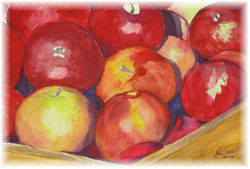 Light, alive and vibrant, her watercolors are filled with deep hues and rich shadows . 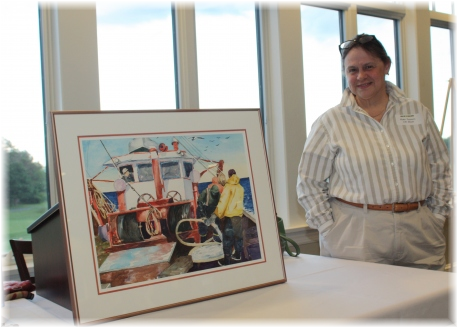 Her work can be seen in art associations, shows and galleries around New England and is displayed in private collections, in businesses and homes across the U.S. The gallery she started in 2005, Random Arts on Lexington Ave. Magnolia is a place to work, teach and share space with other working women artists. 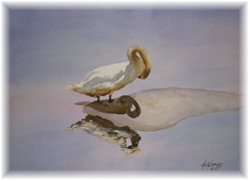 Kate is a member of the Rocky Neck Art Colony and the Cape Ann Art Collective.